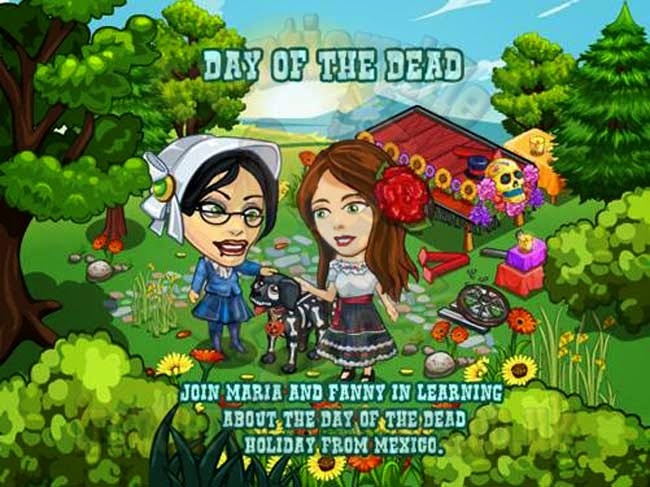 News - Frontierville Express - More Than Just A News Site: Dia de los Muertos! 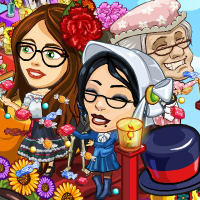 She's positive that Halloween is just an excuse to stay up late, gallivant about and eat lots of sweets and candy that's bad for you, and she wants to change things! 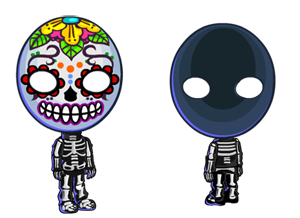 So, now it's time for all of us to enjoy the Day of the Dead! That starts off a four mission thread with a wrapper and a Monday Mission (all details HERE). 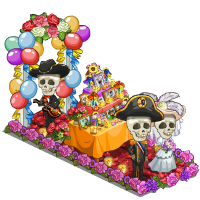 There's also a build of just three stages, the Day of the Dead Float (all details HERE). That Float contains the manager for this mission's set of animals. 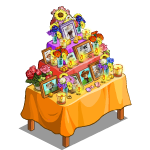 They all start off with one of two things, the Skeleton Pinata (coin method) or the Day of the Dead Altar (Premium version). 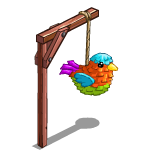 They're healed with their own wall post item (6 Bone Bats / 4 Incensed Sticks respectively) and then become one of four different animals, that are then, in turn, healed with 34 crafted feed items either singly or with a partner. And that's it... It's a simple thread this time around with no other mechanics to worry about, tried and tested. 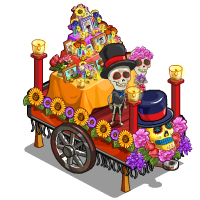 And a bundle of Dia de los Muertos themed rewards!